Itching to start the St. Patrick’s Day celebration early this year, New York? We are too, which is why we’re serving up an all-out bash the night before your favorite green holiday. 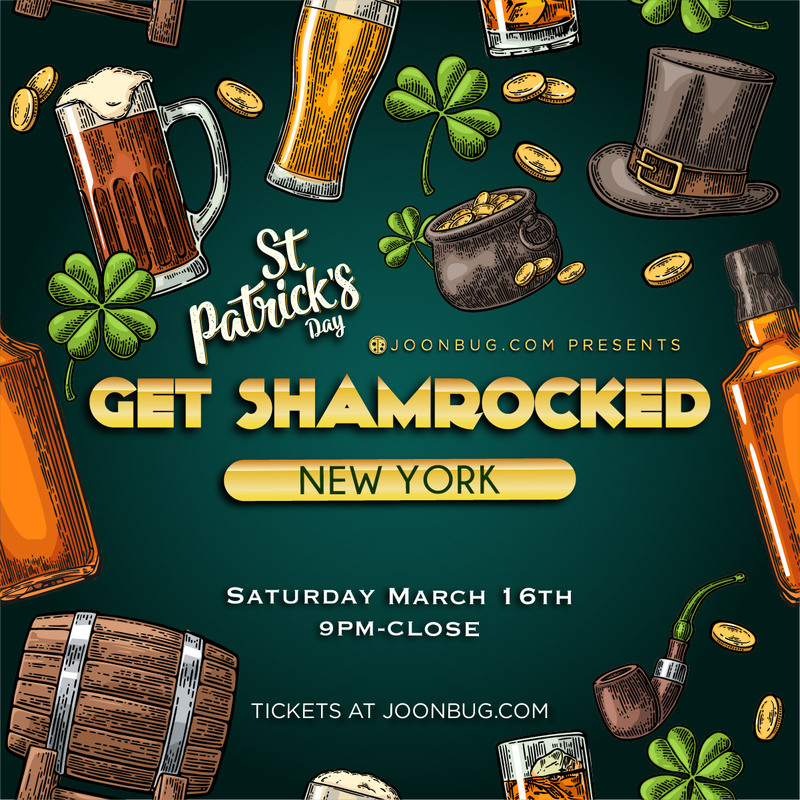 The Get Shamrocked party on Saturday March 16th is part of a weekend of festivities that will prove New York City doesn’t take St. Patty’s Day lightly. We’re prepared to deliver the best music, booze, and spirit Manhattan has ever seen. There isn’t a better way to make St. Pat proud than with a pint and a cheers at this high-octane event. The luck of the Irish comes to Gotham in full swing this year. Be there to soak it up in style, because New York City has never been more ready to Get Shamrocked.